Nina Ferro performs with Kennedy Snow and string quartet at The Salon. Image supplied. Everything It Could Be, Kennedy Snow joins Nina Ferro and a string quartet, 7pm Friday 9 March 2018, The Salon, Melbourne Recital Centre. 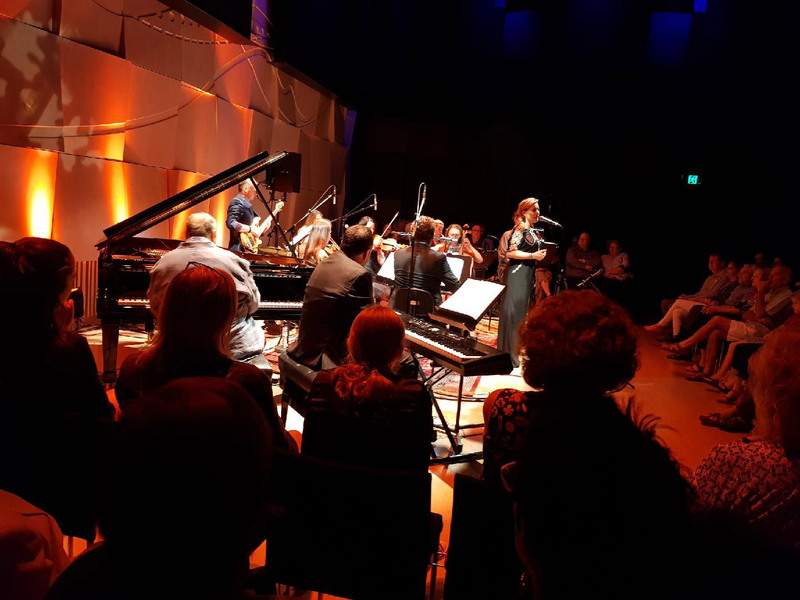 Melbourne drummer and composer Sonja Horbelt took great care with the line-up for this outing with vocalist Nina Ferro, ensuring that it was, in the words of the final piece played, Everything It Could Be. Acclaimed R&B and jazz vocalist Ferro joined Kennedy Snow — Horbelt on drum kit, pianist Bob Sedergreen, saxophonist Kellie Santin and bassist Kim May — along with Steve Sedergreen on keys, Janine Maunder on backing vocals and percussion, and string players Atilla Kuti violin, Lisa Reynolds violin, Lauren Segal viola and Karoline Kuti cello. It proved to be a formidable combination. The power of Ferro’s voice in this acoustically superb space meant we did not need convincing that, as she sang “This is the place I want to be” in the opening song, Sunshine, she meant it. The ballad Last Days of 33 ushered in the lush, full sound of the string quartet, embroidered for a time by piano and followed later by a duo of bass and piano. Again Ferro demonstrated we were hearing a big voice in a small space, with agility and strong vibrato. “Maybe it’s awesome, how things used to be,” she sang, making us think they still were. The foot-tapping I’ve Made Up My Mind demonstrated the good vibe in this ensemble, Bob Sedergreen looking on with obvious enjoyment as Santin made brief forays and the strings added body as they seemed to carry both vocalists on a cinemascopic journey. In Follow, title track of Kennedy Snow’s album, Ferro’s invitation “Can I tell you a story my friend, let me reveal what I know” was delivered with ease, the words clearly articulated and expressive. There were more sweeping vistas from the strings, subtle and beautiful sax, and punchy piano gleefully injected. The string quartet played a different role in Another Time, their contribution stronger yet more sparse. Solos from Steve Sedergreen and Santin could have been longer, I thought, and the drums a tad less strong from where I was sitting, but this was a nice piece. There were no strings in A Different Life. “Just imagine a new way forward,” Ferro sang to the faster tempo, Horbelt’s drums firing up and going for it with Steve Sedergreen underpinning powerful work by Santin on alto and May on bass interacting with Ferro in a vibrant, energetic finish. A new tune, appropriately named Like All Things New, began with sombre piano as Ferro sang, “There’s a change has to happen for this life to go further, all seems so simple at first …” This was a beautiful ballad, quieter and yet with an intensity that made applause for Santin’s alto sax solo seem intrusive. Ferro’s vocals in Intuition were delivered with dynamic variation and free-flowing power, calling to mind the drama of vocalist Jeannie Lewis. A musing, meandering solo by Santin preceded a building of intensity towards a tight finish. The appreciative audience applauded wildly after the final Everything It Could Be, an upbeat piece with a strong beat and appealing melody. No one needed convincing that Nina Ferro, Kennedy Snow and the string quartet had indeed delivered a performance that was everything it could be. 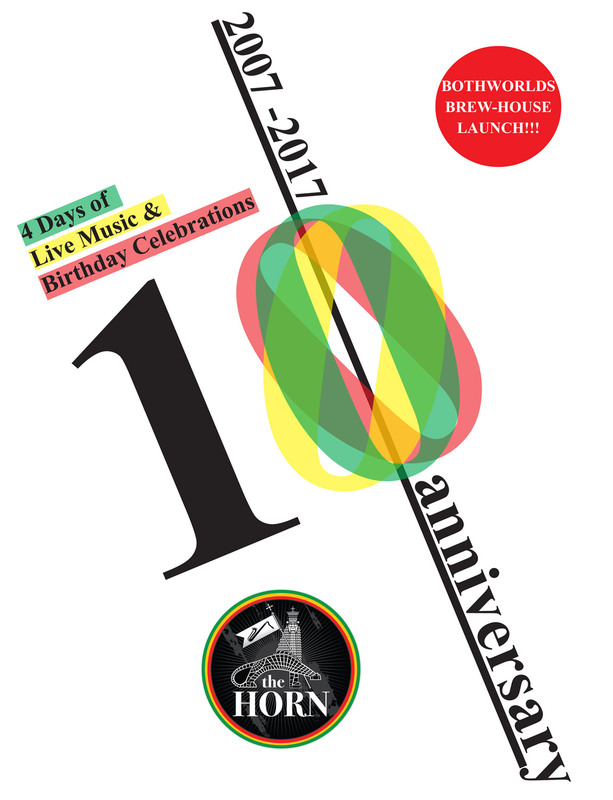 The Horn celebrates 10 years over four days. Excitement is building as the opening night of the Melbourne International Jazz Festival approaches on Friday, but The Horn Cafe in Collingwood is about to launch its own mini festival to celebrate 10 years of providing food and live music. All guests who drop in over the four days of celebration, starting today, will be given a free glass of bubbles to accompany lots of music, special guests, food and drink specials. The African cafe and music lounge was opened in June, 2007, by Peter Harper and his wife, Enushu. Over that time it has given patrons the opportunity to experience authentic and modern Ethiopian cuisine, including homemade injera, in a comfortable and relaxed environment. Guests also relax in the courtyard and enjoy the large range of African beers. Live music performances take place on Thursdays and Sundays with special performances by jazz bands in residence, Ted Vining and Bob Sedergreen, on Thursdays. On Sundays, the usual fare is Ethiopian jazz, funk, hip-hop when the Black Jesus Experience performs between 6.30pm and 10pm. The Horn Cafe serves organic and single blend Sidamo Ethiopian Coffee and traditional Ethiopian Coffee ceremonies are available upon request. First up at The Horn in the live music line-up for the 10th birthday will be exceptional improvisers Blow, comprising Ted Vining on drums, Bob Sedergreen on keys, Peter Harper on alto saxophone, Ian Dixon on trumpet and flugelhorn and Gareth Hill on double bass. Blow will perform on June 1. 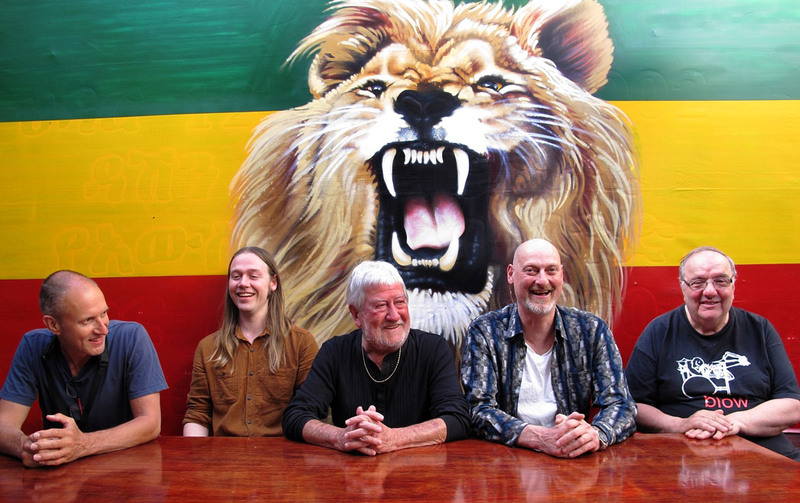 On Friday, June 2 the line-up will be Elmoth Reggae, Funk, Soul Legends. On Saturday, June 3 Alariiya Afrobeat Sounds will feature GP Saxy. On Sunday, June 4, The Black Jesus Experience will perform with special guests. 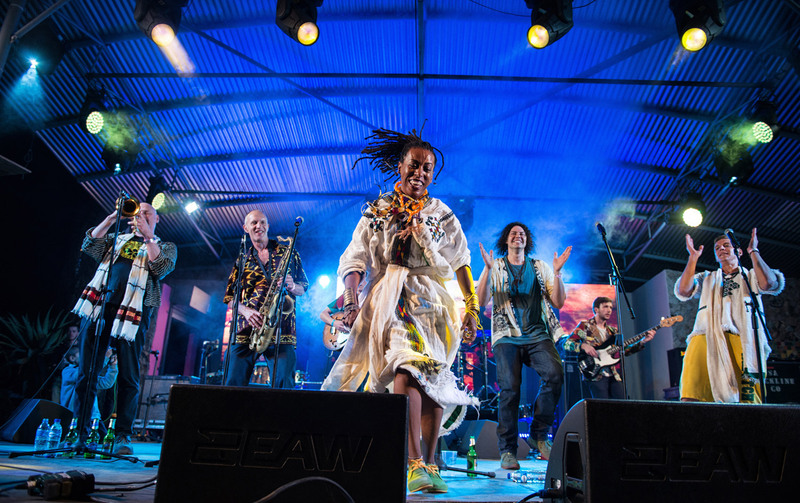 BJX is an eight-piece band playing a danceable blend of traditional Ethiopian songs and 21st Century groove. With backgrounds as diverse as the five continents the members of ‘BJX’ hail from, their music reflects the multicultural vibrancy of the band’s hometown, Melbourne. The Horn Cafe opens at 7pm Wednesday to Friday and 6.30pm on Saturday, 3pm on Sunday. Call (03) 9417 4670 for details of performance times during the 10th birthday celebrations. I don’t know who took the photograph above, but what a great shot of these esteemed gentlemen. When I read the headline on the accompanying flyer — Handing over the baton concert — I jumped to the erroneous conclusion that Dr Tony Gould was to assume command of the band from the mercurial Scott Tinkler, exponent extraordinaire of trumpah. Obviously I was wrong, because Gould is taking the patron’s baton after the death of that giant of Australian music, Peter Sculthorpe. And so the baton passes from one wonderful musician to another. Tinky, as the band leader is sometimes dubbed, will presumably stay at the helm. So, after a hiatus of six months, the Moreland City Phoenix Project will rise again to perform in concert again on Saturday. The “Handing Over the Baton” concert will open with Gould playing a Sculthorpe composition. That is surely reason enough to turn up. He will also perform with Tinkler. The concert will also include compositions and arrangements by band member Cathy Connor (including an arrangement of a Bernie McGann piece) and also a selection of new compositions by Jim Cuomo (also a band member), Sam Keevers, and Bob Sedergreen (arranged by Sonja Horbelt) and other composers.